Hello everyone! My posting schedule has been way off lately but I swear, once I figure out what to post, I will post it xD I mean of course, my every other day cycle should be on track by Monday. 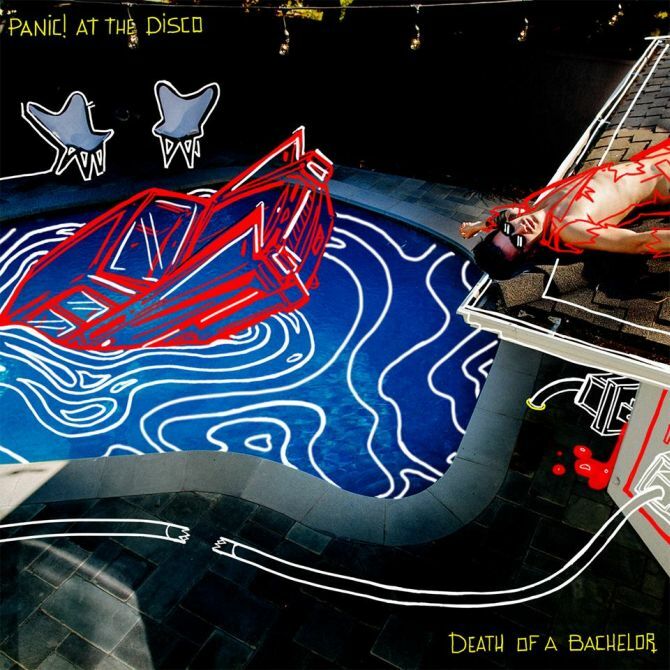 P!ATD recently released their new album. AND I LOVE IT SO FREAKIN MUCH. Therefore I decided to do an album review on it so I can show you how much I love it and then you can go listen to it and love it too. Alright? Alright. 1) Victorious - This was one of the first tracks Panic! released from the album and it was great! It had this really upbeat feeling that gave off that vibe of "victorious". I enjoyed it, it wasn't my favorite but I thought it was nice and catchy. 2) Don't Threaten Me With A Good Time* - THIS SONG IS MY JAM. It's so fun and party like and has such a cool tone that's like a minor sort of thing. The lyrics are also so random and I'm 90% sure Brendon wasn't in his right mind when he wrote this, but I still love it so much. 4) Emperor's New Clothes - I believe this was the song that officially announced the album so it had a lot of hype. It is an amazing song, I love the beat and the song itself. The message of the song is so interesting to me. Also the music video was freakin amazing. 6) Crazy = Genius* - I LOVE THIS SONG. It's so crazy and like circus themed and just wacky and amazing and *takes a deep breath*. Everything about this song is so great, the lyrics are cool, the theme is cool, the key (?) is cool. I wasn't a fan of the little circus intersection towards the end but overall I loved this song. 8) Golden Days - Probably my least favorite on the album? I don't know, I like the beat and all I just felt like it dragged on a bit too long. Like he was forcing a long song on the album or something. Yeah, let's just leave it at that, shall we? 9) The Good, The Bad, and The Dirty* - ANOTHER FAVE. Pretty much the same description: love the beat, the music, the lyrics, and wowowow Brendon that voice though. Yeah great song, go listen to it, buy it, love it, cherish it. 10) House of Memories - This is like Victorious for me. I thought the lyrics were nice, and the beat/music was great and all, it just didn't hit me like the other ones did. I don't know, it was spectacular but it's not one of my favorites. 11) Impossible Year - Here it is. The sad one that made you cry. I love this song so much because the lyrics are just so beautiful and I need Brendon Urie to come and sing this for me because wowowow just please oh my. It's the PERFECT sad song and you need to listen to it. K bye. 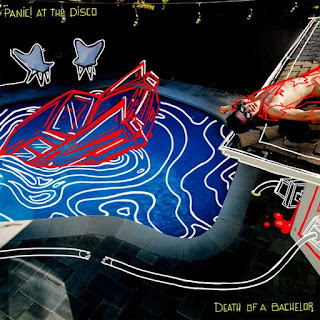 OKAY that was my DOAB album review! I hope you enjoyed and that you will (you will) go check it out now. Panic! has really reinvented some new things and I love what they're doing with it. A+ Beebo. I WAS SO EXCITED FOR THE ALBUM. i really, really liked it. I LOVE DON'T THREATEN ME WITH A GOOD TIME SO MUCH. when it came out on jan. 1st, i could not stop listening to it. i thought victorious was catchy and i loved emperor's new clothes! (eats cookie) Mmmm (crunches, and crumbs go in everyone's face) Thanks for the cookie. It's good.